After our 20th birthday last year, we’ve continued our theme of celebrating Britishness for 2019. It may be winter right now, but our new collection will transport you to the great British festival and beyond. I absolutely love festivals, especially the dressing up and the complete sense of non-judgement. With this in mind, we embarked on our annual design trip to Port Eliot in Cornwall for a weekend of fashion, music, inspiring talks and creative workshops. Despite the typically British torrential rain, we tried everything from flower headdress making to paddleboard yoga. When we eventually came back to reality we created our mood board, featuring an eccentric mix of bad weather survival, mystical worlds filled with dreamcatchers, flashing lights and crazy costumes. This lead to a collection designed for the great outdoors with a real sense of fun. 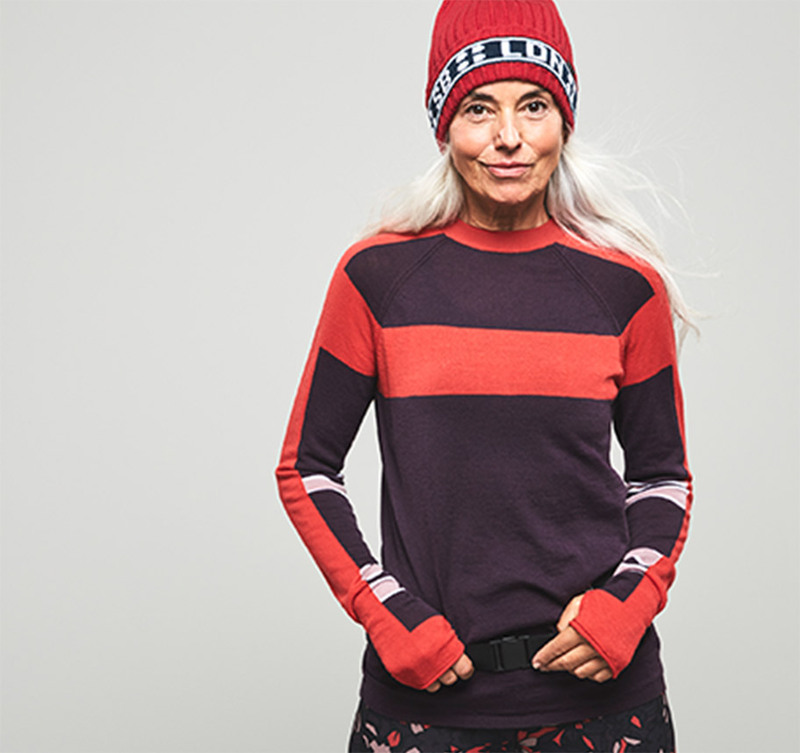 Alongside classic utility pieces to brave the elements, we’ve got lots of bright colours and some really fun prints with foxes and strobe lights. This season, I want to make people feel really good about themselves, dressing in a way they feel is most flattering to them. With this in mind there’s lots of knitwear and layers to style up with your leggings, so you can feel like the best version of yourself in and out of the gym. Our mission statement for twenty years has been to make women feel empowered. So we decided to choose three amazing women to showcase this collection; Mia Kang, a Body Positivity Campaigner and Muay Thai Fighter, Sophie Apollonia, a dancer and choreographer and Yazemeenah Rossi, a yogi and photographer. We chose these women as they are confident in their own skin and set their own agenda, living an active lifestyle and being completely unapologetic in who they are. They have a discipline and sport that they stand for and stay fit to feel good, not just to kill it. Plus, I love their stories, from growing up in Corsica to dancing on a West End stage all three women have a lot to say, you have to read our interviews with them here. For January, I wanted the women and the clothes to do the talking, so we ensured the set was really paired back to let Mia, Yazemeenah and Sophie express themselves and have fun. I loved watching them all try to learn new moves from each other. We aren’t about New Year, new you, it’s all about living actively and doing what you want and these women embody this. It's time to feel empowered, shop our new arrivals today and read our Manifest for 2019 and beyond here.